Self rising cornmeal is nothing more than good old cornmeal and a little baking powder and salt. For the most part it is fairly easy to obtain in the southern states of the US. However, in the northern states it can be quite difficult to find. That is why a lot of people do end up mixing their own. And given how easy it is it rarely adds much time to the cooking process for most recipes. Just be aware if you have any gluten issues that some store bought mixes may contain ordinary flour. These may be referred to as a self-rising cornmeal mix. So beware of some of the popular mixes if they are available in your area. Always check the labels thoroughly before purchasing. Combine all together in a small bowl and ensure that it is thoroughly mixed before using it. You can make it in advance, just make sure that the container you put it in is clean, dry and has a tight seal to stop any moisture from getting in. What can you make with Self Rising Corneal ? You can make a variety of different breads and muffins. 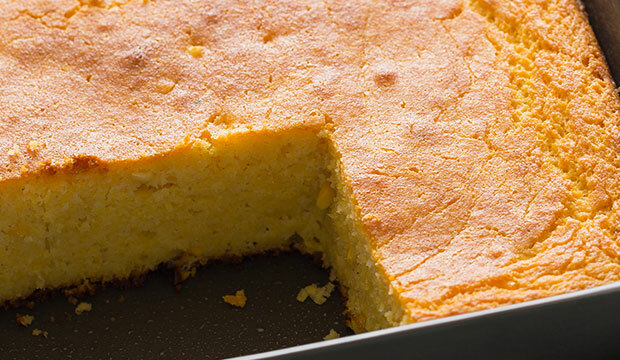 Of course the most obvious thing to make would be good old southern cornbread made in a skillet. It can also be used as a crunchy batter for fish or some people even like to make pancakes and waffles from it too.